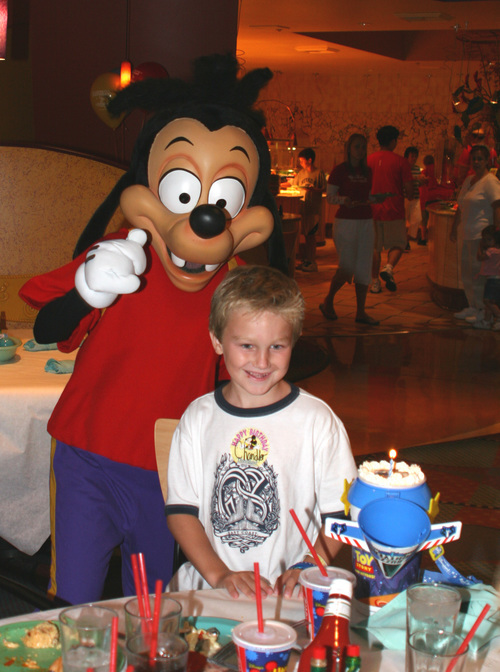 Chandler's 7th birthday at Goofy's Kitchen in the Disneyland Hotel. Great trip! Disneyland's 50th birthday too!